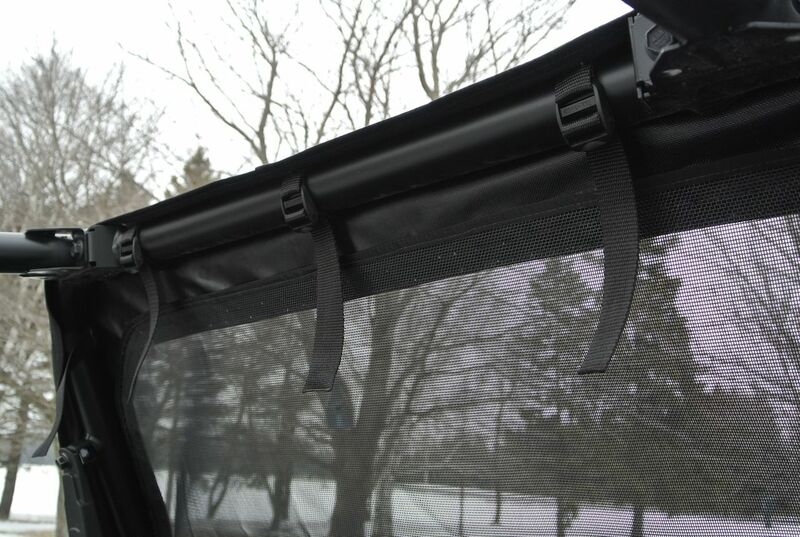 This is not a vinyl window, this is a mesh screen. 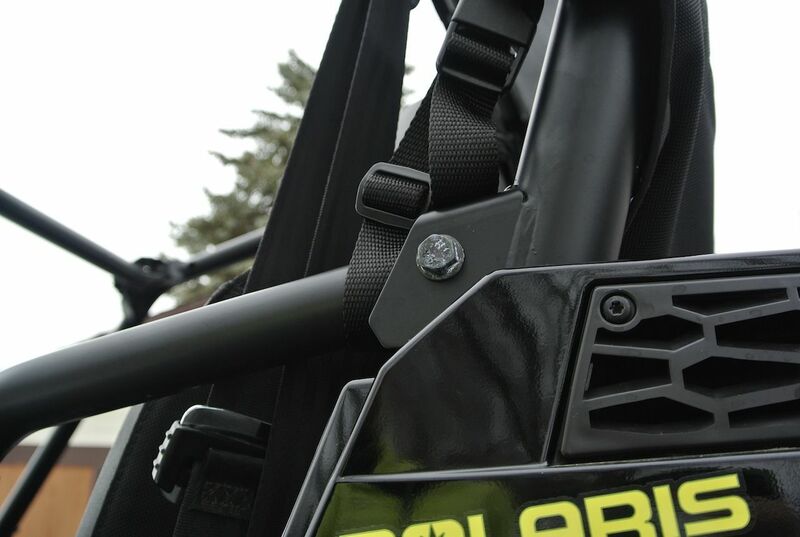 Note: This unit has no rear roll cage cutouts. 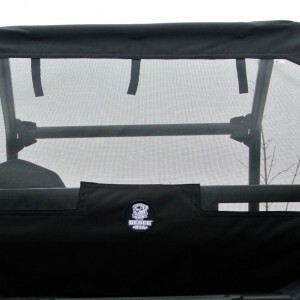 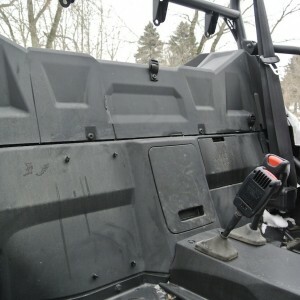 Check other listings if you need rear roll cage cut outs. 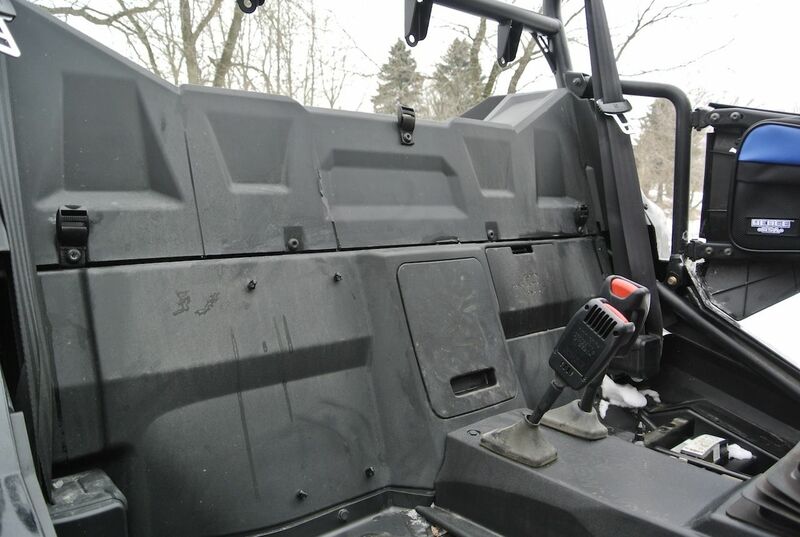 Helps to eliminate dust swirl in the cab. 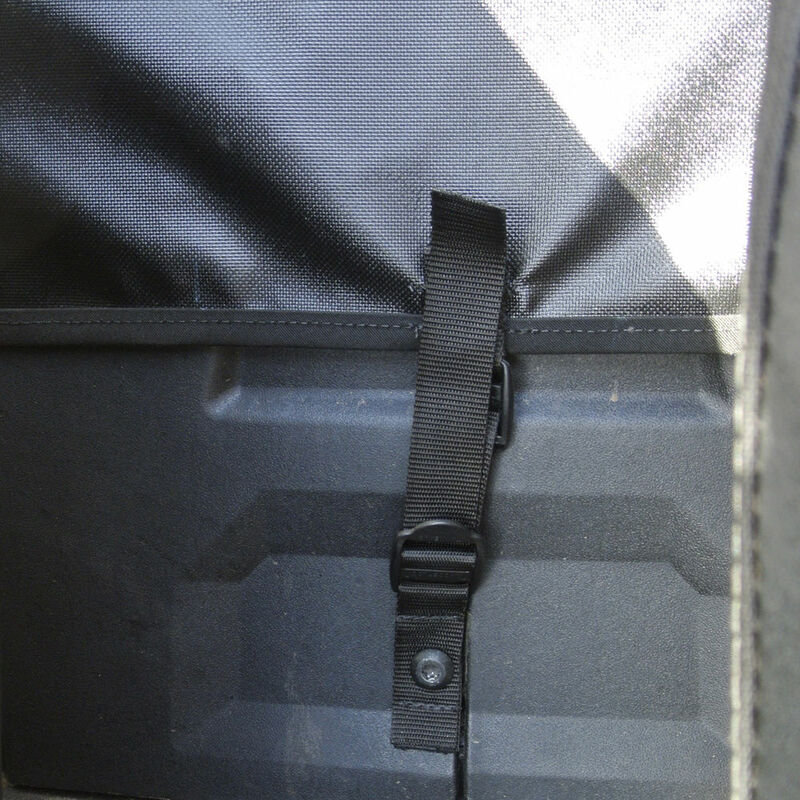 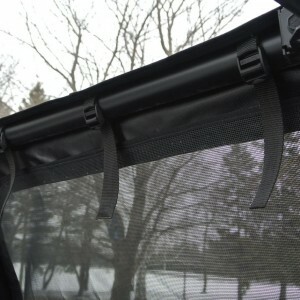 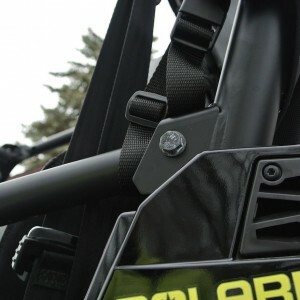 Quick and easy installation with 1″ lock slide fasteners. 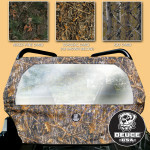 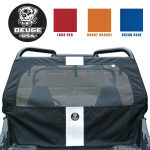 Deuce USA 1 year workmanship warranty.